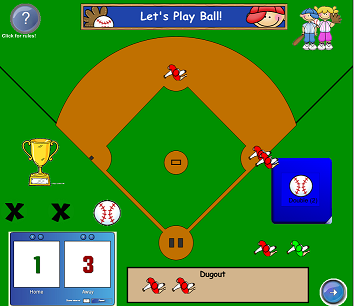 I made this SmartBoard Baseball game last year for a graduate class I was taking at the time. Baseball games are a great way to review content before a test or just any old time! Directions are included in the file, and I tried to be as detailed as possible. Let me know if you like it or you encounter any problems. I would guess you need the most current version of Smart Notebook software. Sometimes those dice can be tricky if you’re not up to date. This file does use Flash elements. Graphics are from ThistleGirl Designs and are used with permission with my resellers license. This game is now available for purchase at TeachersPayTeachers!